Ginger High- Books R Us: GUEST POST BY C. FRITSCHI AUTHOR OF HERO- THE UNKNOWN TERRITORIES. GUEST POST BY C. FRITSCHI AUTHOR OF HERO- THE UNKNOWN TERRITORIES. 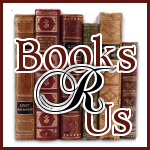 I would like to welcome Christopher Fritschi to Books R Us. Christopher is the author of the Hero - The Unknown Territories. Thanks for stopping by. Someone once described their mind as filled with, 'monkeys with chainsaws'. My imagination is just like that. Maybe one or two juggle them too, I don't know. When I decided to write, I mean seriously write, it opened up a stream of story ideas. When I'd talk about all of them, the more patient listeners would gape at how many I had and following that they'd complain that I hadn't written them yet. It was the sincerity of their complaints that convinced me they weren't just being nice to shut me up, but because they were honestly intrigued by the plot and wanted to read the story. A short time ago I was enduring a traffic filled drive home from work and wondering how much I could sell a car mounted vaporing ray gun for when I my mind flashed on my old bedroom from when I was a kid. Yeah, it doesn't make sense to me either, but it's how my mind works. When I was a kid my dad was watching a documentary about the birth of special effects in movies using double exposure. I came into the room at the worse moment. They showed a clip a man get into bed. No sooner had he laid down than a giant tarantula climbed out from under the bed and pounced on him. I was scared for life. And they say documentaries are educational. Ha! From that moment on I was terrified of spiders and what ever lurked under my bed. What was worse was that my bed was at the opposite end from the light switch. Every night when I turned off the light I imagined some new creature poised under my bed just waiting for my tender feet to come within reach. The only reason I survived was from developing the 'bedroom broad jump'. You can pretty much guess what that was. With all that practice I could have been an Olympic star. Returning to the traffic part of my story; I realized that the imagination that stock piled the three ring circus of monsters dwelling under my bed was now playing the part of an archeologist and now digging up that wealth of critters, places, and miscellaneous what-not. Combining all of that with my own life experiences, the history of ancient lore from around the world, myths, human nature and like that the result takes form as vivid characters with real lives, common and spectacular places and dangers of every form. All of them are in my mind, shoving each other for a place in line waiting to be told. So, there you have it. The next time someone asks me where my ideas come from I have one less reason to smirk stupidly. Only 53 other reasons left. In a world filled with a parade of dangers the only answer is a hero. Handsome, rich, adored and with perfect teeth, Tilger is a professional hero. But Tilger takes on a bet with a wizard and is transformed from the pinnacle of manliness to a scrawny, ugly, weakling. He loses everything - his powers, his looks, his armor and his weapons. With the body of a wimp and the ego of a superhuman, Tilger embarks on the most important crusade of his life to win it all back. With the help of two unlikely sidekicks, a minuscule inventor, Standback, and his faithful warhorse Sho, Tilger must overcome the greatest fear of all - failure. It's an adventure littered with terrifying creatures, bravery, friendship and a truly horrifying and omnipotent rival. 'Hero - the Unknown Territories' is an epic fantasy adventure with a refreshing blend of humor and honesty, suitable for all ages, from older children to adults.